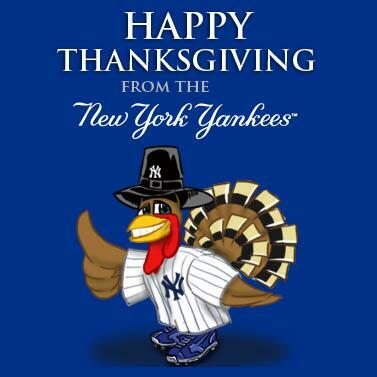 We are thankful for the Yankees and a step further, we are thankful and grateful you are part of the Yankees Universe. These are exciting times for Baseball’s greatest franchise and we are hopeful next season will bring the 28th World Series Championship to the Bronx. 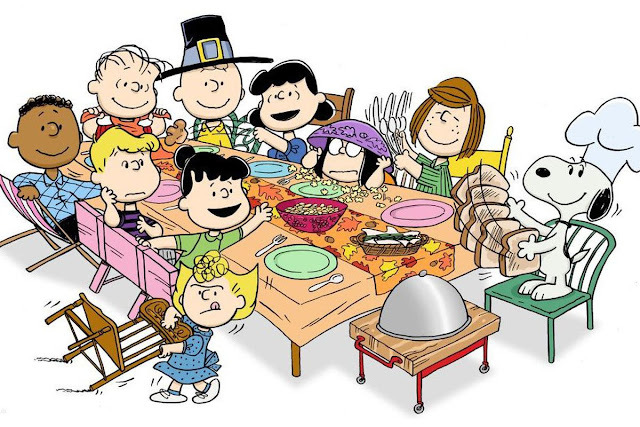 To you and yours, enjoy the day and give your loved ones an extra hug from all of us. Unless you are a football fan, there’s probably not going to be much happening today sports-wise. I’ve seen the tweets on Twitter that it would be very much a Brian Cashman move of Brian Cashman to announce a major trade today. I doubt we’ll see any breaking news today but who knows. There’s nothing in the rule book saying trades and signings cannot happen today. With Wednesday’s acquisition of another utility-type (speedy infielder/outfielder Tim Locastro from the Los Angeles Dodgers), the 40-man roster is full. The Yankees are just getting started with the off-season enhancement of its championship-quality roster so we know there are a few tenuous spots on the roster. Given the Yankees’ need for another high-end starter, a couple of bullpen replacement pieces for free agents David Robertson and Zach Britton, and possibly a strong option for the infield to help with the temporary absence of Didi Gregorius, there appears to be at least five roster spots that will need to be vacated. Reviewing the roster, I see the following players at risk. Luis Cessa - I think most of us have seen enough of Cessa and are ready to move on. There are teams that value him as a reliever so I think he’ll be moved. I know I have no trust in Cessa after hitters have seen him once or twice in a game. I just don’t see a long-term future in pinstripes for Cessa. He is simply a pedestrian starter in my eyes, and there are better options for the bullpen. A.J. Cole - Thank you, next. Sonny Gray - We know this is one spot that will be vacated. It is only a matter of time until Gray joins the ranks of ex-Yankees. For most of us, the sooner, the better. I’ve seen a few people on Yankees Twitter predicting a rebound season for Gray in pinstripes next year. Please, been there, done that. Like Cessa, we’ve seen enough to know Gray is not going to magically become a frontline ace for the Yankees. It is time to move on. Domingo German - German represents insurance for the rotation, but I think Jonathan Loaisiga is a better option and the Yankees have to give Chance Adams a “chance” (sorry, had to do it). I feel Adams is better served in the bullpen but for now, he remains a starter and should be given every opportunity to succeed. My favorite pitching prospect is Albert Abreu but I don’t think he’ll be Major League ready by next season. He is on the 40-man roster so there’s always the opportunity for a late season call-up. Domingo Acevedo is also on the 40-man so I see it as a numbers game for German, and place him at the greatest risk of losing his spot among these names. Ronald Torreyes - I know everybody loves Toe, but the Yankees seem to be bringing in other utility types (Hanser Alberto and the aforementioned Locastro). I am sure Yankees VP, Assistant General Manager Michael Fishman and his analytics team have very strong opinions about the players that will best serve the Yankees in the utility role. Thairo Estrada will be healthy and the bullet in his hip has finally been removed. Estrada, Alberto and Locastro will battle Tyler Wade and Ronald Torreyes, and I simply see Torreyes as the loser, making him a strong candidate to be non-tendered. Jacoby Ellsbury - I place this name here only for my continued hope that Brian Cashman finally pulls a rabbit out of his hat to move Ellsbury. When healthy, I know, he’s a decent player. But I am done with DL’s-bury and ready to move on. 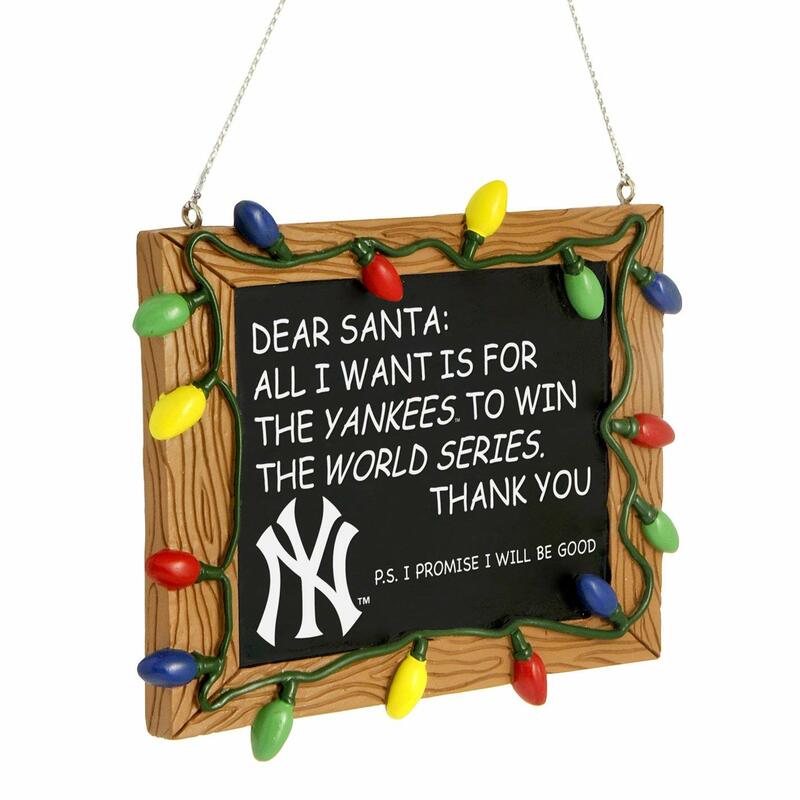 If healthy, I think the Yankees should cut bait. There’s only two years left on his deal. It’s an expensive decision to let go, but I see Ellsbury as addition by subtraction. If he is not ready to go by Spring Training, the best financial decision is to place him on the disabled list for continued insurance payments, but seriously, I just want to move on. There are other players on the roster that could be moved in trades, but the above players are the ones that I see most at risk. I was watching a replay yesterday of the Seattle Mariners game at Yankee Stadium on June 21, 2018 when James Paxton took the mound in his now “home” stadium against Luis Severino. The Yankees had two two-run homers in the first inning by Aaron Judge and Miguel Andujar, narrowly missing a third home run when Seattle’s Mitch Haniger leaped to rob Giancarlo Stanton of a long fly ball to the center field fence. Paxton settled down and chalked up nine strikeouts before he departed in the Yankees’ 4-3 victory. Here’s hoping his next Yankee Stadium start gets off to a better start. It was thrilling to watch the Yankees’ best two starting pitchers going at each other. 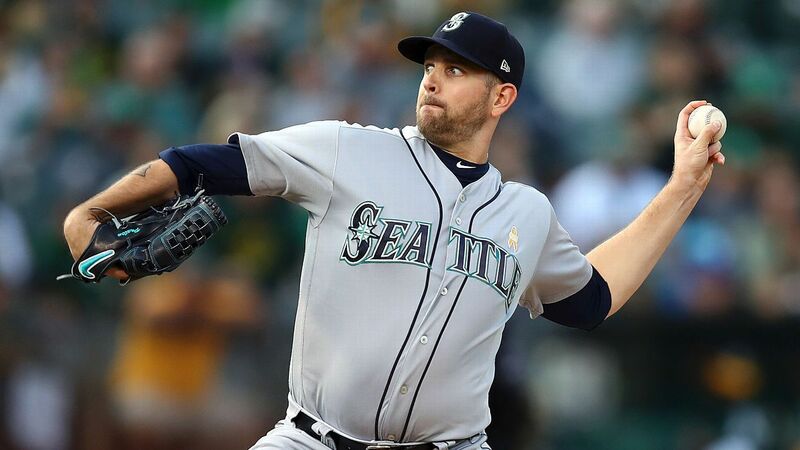 I never really noticed it before but Paxton has very intense eyes when he is pitching. I also didn’t realize that he was such an Andy Pettitte fan growing up. The guy is clearly a competitor with an intensity that kind of reminds me of the heart of Lance Lynn (except Paxton has the arm to match the intensity). I don’t think we’ll have to worry about any ‘Sonny Gray-like’ meltdowns from Paxton. Sure, he’ll have his clunkers like any other pitcher, but he seems to be a warrior to me. Paul O’Neill will be proud. The deeper we get into the off-season, the more I want to see David Robertson return. I am so hopeful the Yankees and D-Rob can come to an agreement to allow Houdini to continue his “path in Pinstripes”. I get fired up every time I see D-Rob run off the mound at the conclusion of an inning. For the other reliever spot, I really want to see the Yankees sign Adam Ottavino but I wouldn’t be disappointed with the return of either Zach Britton or Andrew Miller. I just think Ottavino represents the safest choice. Well, actually Britton would the safest, but I think his desire for closer’s money will price him out of the Yankees’ reach. I’ve seen some Yankee fans say the team should sign Boston’s Joe Kelly, currently a free agent. No, Hell NO! I don’t want to see that guy anywhere near Yankee Stadium in a home uniform. I prefer to see Yankees either teeing off on his pitches or slugging his face in with their fists. Sorry, I am not a proponent of violence but I do not want to see that guy on my team. He could be the greatest reliever in the history of baseball and I’d still want no part of him. I know, Mariano Rivera is the greatest reliever in history but my point is I don’t care what Kelly is capable of, I don’t like the guy. Lastly, I hope this is the year Mike Mussina gets into the Hall of Fame but I suspect he’ll fall short. He deserves his spot in Cooperstown so I hope he eventually gets there. As they say, time will tell. 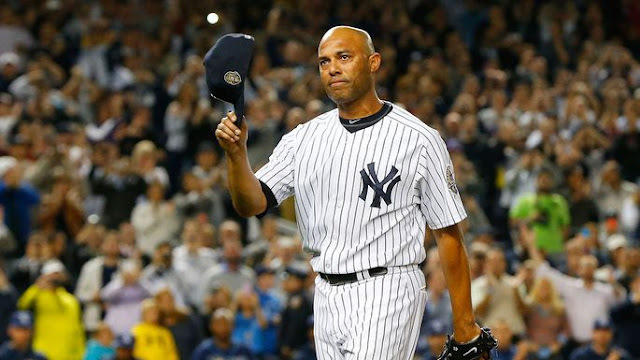 Meanwhile, Mariano Rivera should be a shoo-in. There will be voters who leave Mo off their ballot for whatever reasons (which makes no sense to me), but I think he’ll come in with at least 95% of the vote. I can’t wait for the Hall of Fame inductions next year with a smiling Rivera present at the festivities. One of my all-time favorite Yankees. Thanks for your continued support of The Greedy Pinstripes. We’re nothing without you. Daniel Burch and Bryan Van Dusen created something special when they built this blog and we look forward to sharing our thoughts about America’s favorite baseball team in the years to come. Be safe, be happy, be well. We’re glad you are here.